What should I expect during my crown lengthening consultation? Posted in All, Blogs, Cosmetic Dental Surgery, Crown Lengthening, Gummy Smile | Comments Off on What should I expect during my crown lengthening consultation? Posted in All, Blogs, Periodontist, Sedation Dentistry | Comments Off on Oral Conscious or IV sedation: Which is right for me? 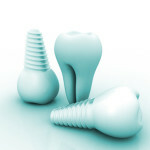 Posted in All, Blogs, Dental Implants, Periodontist, Tooth Extraction | Comments Off on Dental implants: Will I have enough bone after tooth extraction? Posted in All, Blogs, gum disease treatment, Periodontal (Gum) Disease | Comments Off on How can I tell if I have gingivitis or gum disease? 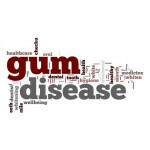 Posted in All, Blogs, Periodontal (Gum) Disease, Periodontist | Comments Off on Can children and adolescents get gum disease? Gummy Smile: An esthetic problem or something more? Posted in All, Blogs, Cosmetic Dental Surgery, Crown Lengthening, Gummy Smile, Gummy Tuck, Lip Repositioning | Comments Off on Gummy Smile: An esthetic problem or something more? 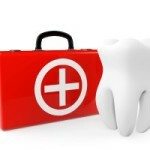 Posted in All, Blogs, Periodontist | Comments Off on Are you prepared for a dental emergency?